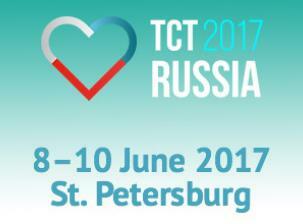 Rontis participated as an exhibitor in TCT RUSSIA 2017, an exhibition associated with an excellent reputation in the cardiovascular community, held in St. Petersburg from the 8th to the 10th of June 2017. The exhibition was organized by the Russian Scientific Society of Endovascular Therapies and the Cardiovascular Research Foundation and attracted the presence of healthcare companies, world leaders in technology development, manufacturers of endovascular surgery products and life support systems, as well as the pharmaceutical / drug development industry. Our company delegates had the opportunity to meet with physicians and company representatives in our booth, with whom we discussed our product portfolio and explored possibilities for future collaborations. Furthermore, Rontis staff was accompanied by nine (9) Iranian guest delegates, who also attended the 19th Moscow International Course on Endovascular Therapies and with whom we strengthened our business collaboration further, for the territory of Iran. Rontis enjoyed a successful presence in the exhibition and we look forward to our participation in the next event for interventional radiology, CIRSE 2017 in Copenhagen, Denmark, from the 16th to the 20th of September 2017.